Saxophonist, composer, and arranger, Lee Secard has performed with the bands of Maynard Ferguson, Bill Watrous, Jack Sheldon, the Luckman Jazz Orchestra, Les Hooper, Bobby Caldwell, Brian Setzer, Ladd McIntosh, Tim Davies, and many others. He has played extensively for film and television recordings on a variety of woodwinds. Mr. Secard’s compositions and arrangements are performed by professional and university jazz groups and big bands. 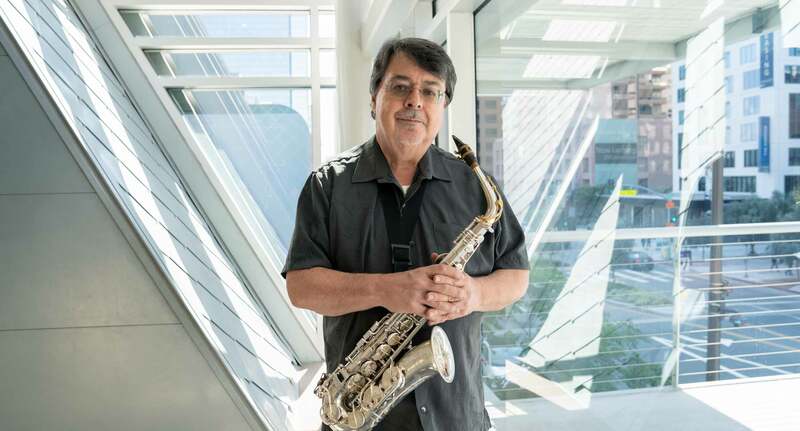 And he is currently the instructor of saxophone and department chair of the Jazz Workshop at the Colburn Community School of Performing Arts. Mr. Secard’s students have won numerous DownBeat Magazine Student Music Awards, Monterey Next Generation Jazz Festival Awards, and have been semifinalists and grand prize finalists in The Music Center’s Spotlight Awards. His seniors have gone on to some of the top jazz programs in the country, including University of Miami’s Frost School of Music, University of Southern California’s Thornton School of Music, The New School, The Juilliard School, and Berklee College of Music. Other recent student accomplishments include placement in the Monterey Jazz Festival’s Next Generation Jazz Orchestra, GRAMMY Camp Jazz Band, and Vail Jazz Workshop. Numerous groups in the Colburn Jazz Workshop have advanced to the finals of the Monterey Next Generation Jazz Festival under the direction of Mr. Secard, including the 2016 Monday Night Band, which was awarded third prize in the conglomerate jazz combo division. Mr. Secard grew up in Orange County and attended the University of Southern California, where he received his Bachelor of Music, and studied saxophone with Harvey Pittel, and composition with Donald Crockett and Stephen Hartke.